Custom Processing for Sportfishermen in Soldotna and through-out the Kenai Peninsula. Thank you for contacting us at Great Alaska Seafood/Peninsula Processing and Smokehouse. We are your one stop fish processing service provider. Yes we do process (cut, vacuum seal, freeze and SHIP) your sport caught fish. We 100% Guarantee that you will get your fish, and only your fish back. We do not offer "Fish Exchanges" as several other processors do. Automated Fish Filleting Machine from Norway. Your fillets will be uniform and professionally done and the meat recovery will be the very highest possible. Vacuum packaging is done using a Commercial VC999 Roll-Stock machine. This is a large hi-tech machine that evacuates 100% of the air from packages while securing your valuable fish in a bullet-proof packaging material which consists of 8 mil material. Other processors are using basic chamber vac machines using a lighter 3 mil material that results in many of your packages becoming "leakers" by the time your finished products gets into your home freezer. The end result is freezer burn. (Our Roll Stock Machine cost over $200,000 vs basic chamber machine which costs $4,000). Your fish will be blast frozen. Because we are a Commercial Fish Processor, your fish will be Blast Frozen in our brand new, built in 2017, Blast Freezer ( -30 degrees). Blast freezing fish instead of the traditional slow freeze method substantially improves the quality of your frozen fish product. We have to follow very strict sanitation guidelines mandated by the government. Our facility is inspected. 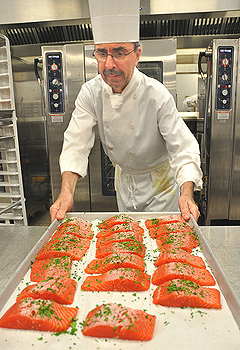 Most fish processing facilities on the Kenai Peninsula are seasonal only businesses and are not inspected. Our Facility is open 12 months a year. All Sport Caught fish that we process must be shipped to the customers address, or any address of their choosing. When dropping off your fish you give us a shipping address and when you will like it to arrive to your chosen destinations. We will call you prior to shipping to be sure that you will be home to receive it. Your fish will be insured with FedEx. We do not allow our customers to pick up their fish and take it with them. Customers shipping fish on commercial airlines are required to sign "liability waivers" with all commercial airlines. If the airlines lose your fish or it is delayed, which happens often, the airlines are not responsible and will not replace your fish. Your fish will be professionally packed in our custom boxes with cooling agent to keep your fish frozen during shipping. We only ship via FedEx priority overnight. You can purchase additional Wild Alaska Seafood products from our retail case at great prices and we can include them in your shipment. 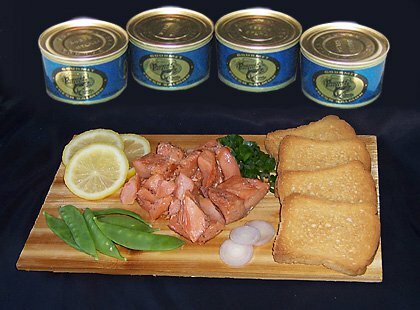 Products are unique and wonderful and include over 50 selections from Crab to Caviar. Visit our website at Alaska Seafood! 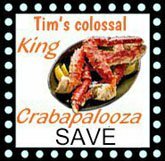 100% Wild King Crab, Salmon, Shrimp, Halibut to view our complete selection of Wild Seafood Products. Our prices will include the fish processing services, boxes, cooling agent, and shipping charges to your home. We are currently working on pricing for the 2018 season. Our family has been serving anglers and fishermen here on the Kenai Peninsula since 1977. We are centrally located at 720 K-Beach Road in Soldotna. Feel free to call us with any questions at 907-262-8846. 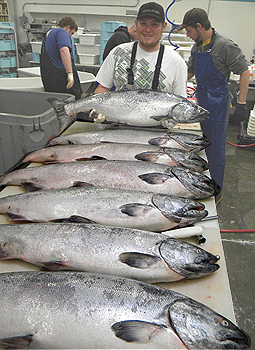 Thank you for considering Peninsula Processing for all of your fish processing services when visiting Alaska.